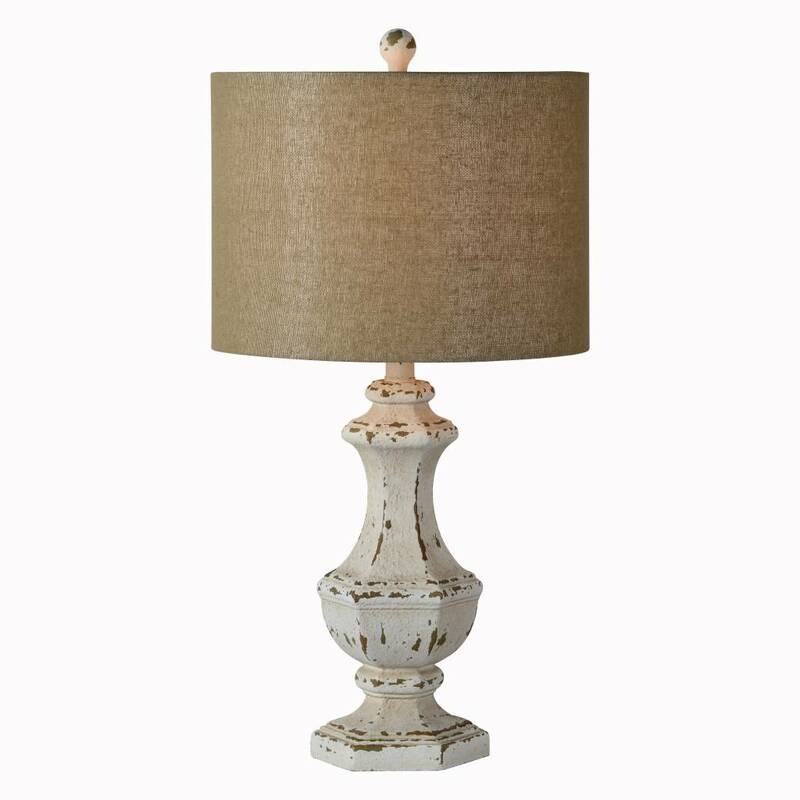 This lamp features a sculpted base with chipped-paint finish. 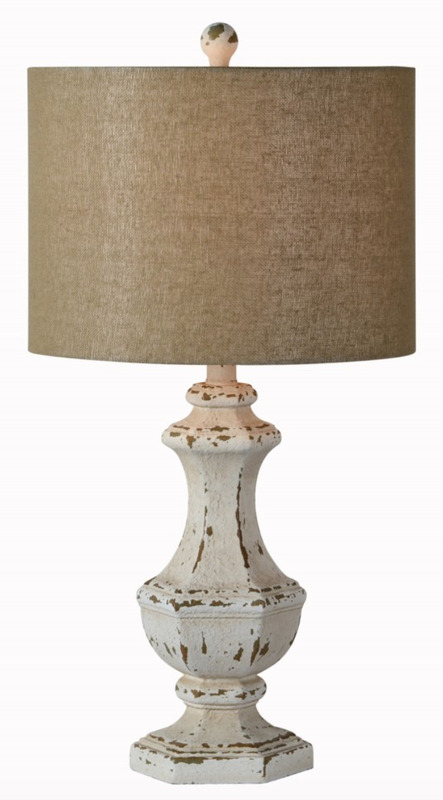 For farmhouse to coastal, chip will fit right in. Glass/Shade: 13" x 13" x 9.5"